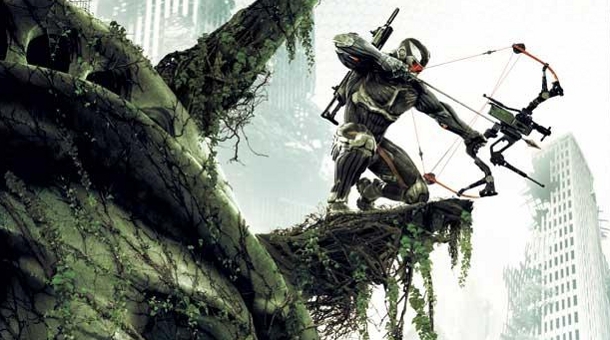 Crytek have published the latest Crysis 3 gameplay trailer which shows the true power of CryEngine 3 set in an open field. 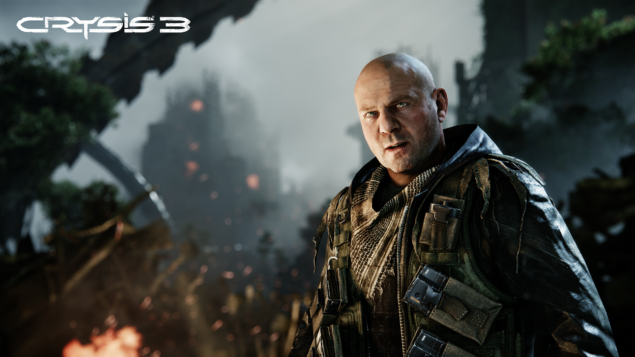 The trailer apart from the visual demonstration also shows new AI abilities, weapons usage and brings back an old friend Psycho (Crysis and Crysis Warhead). The trailer starts off with Pyscho (a bit old now) explaining how the current situation started. People of New York city approached Cell – the rouge faction in Crysis 2 for free energy. The accepted the offer but their was a catch, nothing’s free in this era hence people had to pay the debt for the energy which they couldn’t. Hence they had to opt for the Cell requirement camps which increased the overall number of troops of Cell troops. The various domes set up by Cell in New York city were build to capture and investigate the alien faction known as Ceph, who are back with upgraded troopers. The trailer shows how Prophet paves his way into the dome avoiding enemy fire. This part shows lots of graphical power apart from offering a non-linear sandbox approach. The grass sways off as the ground his bombarded with each artillery hit. Furthermore, the texture and lightning features add on to the scene. Prophet picks up a Alien weapon which appears to be some sort of a rocket launcher and fires it on to the tower where the artillery strikes are coming from. We also see Prophet firing his bow with an electric attachment which when fired in the water can electrify Cell troopers. Later on, the trailer takes Prophet to an enemy compound where he fights off waves of Cell troopers. This bit shows off the dynamic destruction that takes place on various objects along with new and improved water displacement effects. 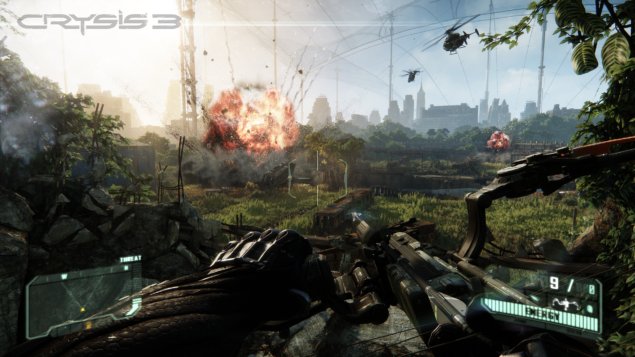 Overall, Crysis 3 is looking great even in its Alpha state and we look forward to the final version which hits store shelves in February 2013 for PC, PS3 and Xbox 360.